Walmart has In Season Jewelry For $8.99 (List $24.99). 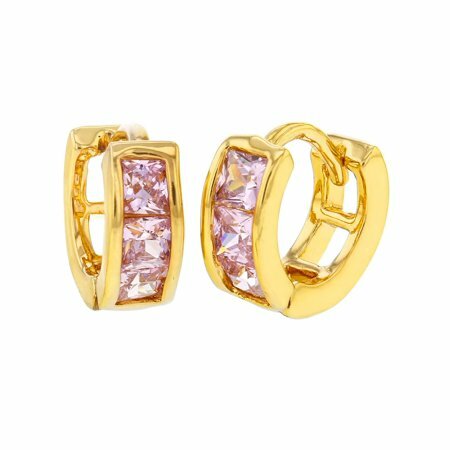 These attractive earrings showcase three beautiful and bright pretty pink crystals channel set into an 18k gold plated huggie hoop. This gorgeous and extremely tiny pair of huggie hoops will add sparkle and shine to all of your baby’s outfits, making her fashionable at an early age.